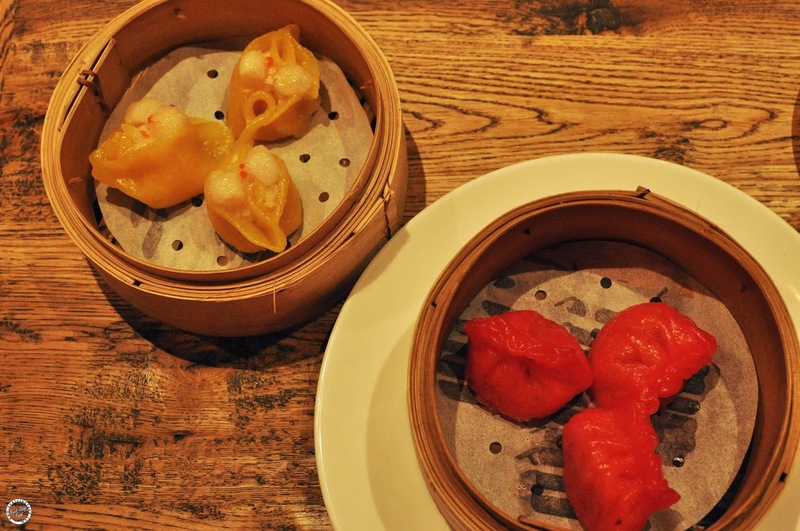 Next Stop: Food | Food Blogger located in Sydney Australia: Pu'er - Dumplings and Eggplant! Pu'er - Dumplings and Eggplant! Usually when I go yum cha with my family, mum will order Pu'er to go with the dumplings. 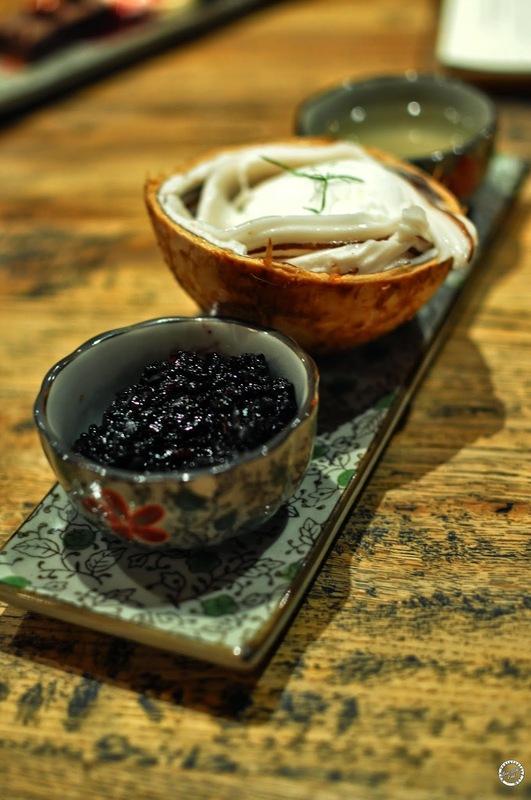 I always thought Pu'er was just another type of tea leaf but Quinton explained that it's fermented hence the taste is so strong. This is how tea is served here. 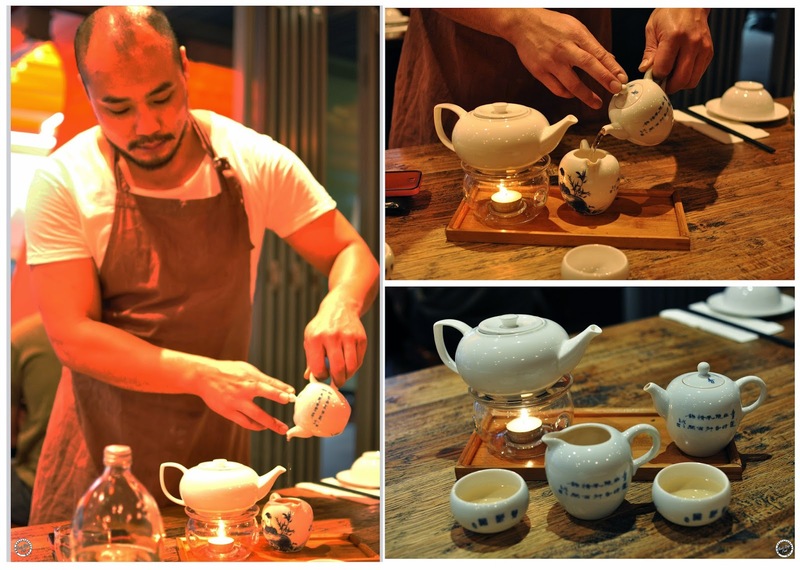 You pour hot water into the teapot, let it sit for around 3 minutes and then pour into another pot to serve. This will maximise the flavour of the tea. 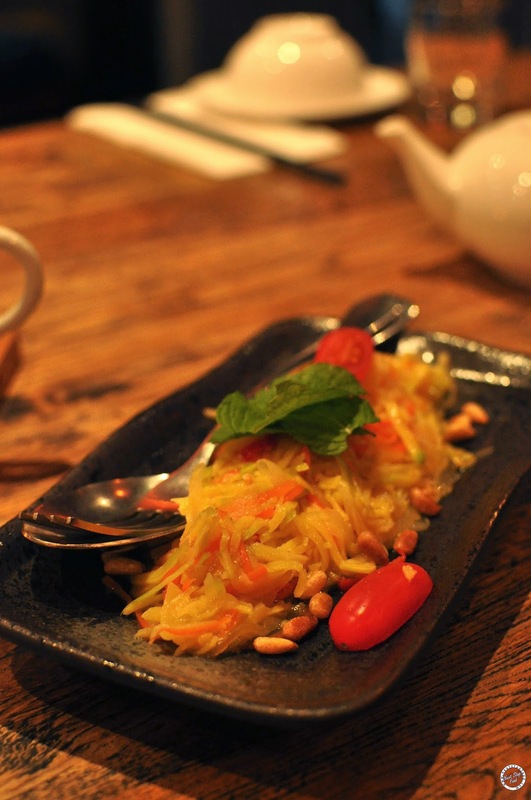 We ordered jasmine tea which was light and very fragrant. 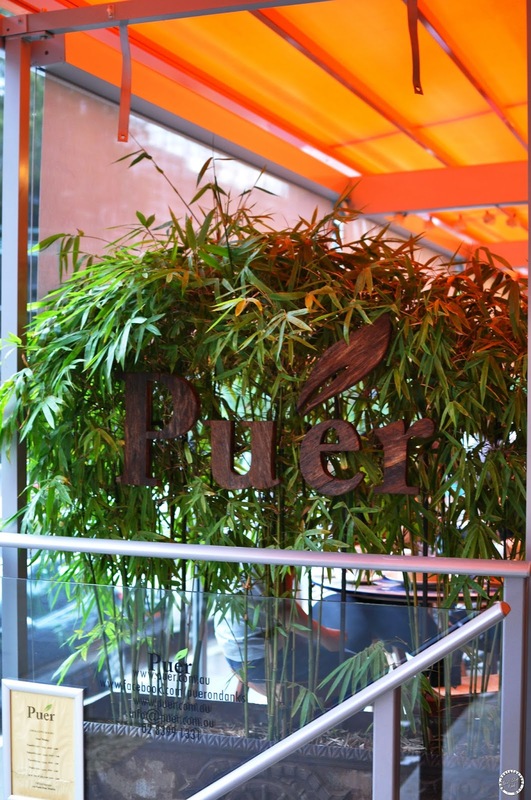 Pu'er's menu separated into dumplings, street food, shared plate and desserts. We started off with dumplings. I LOVED this, the prawn were succulent with the perfectly balanced chilli marinate, there was no need to dip it in any sauce. At first I thought it'll be served with a whole scallop, it was nice none the less. It taste even better when dipped with chilli sauce. This is part of the their street food section and it reminds of duck pancakes because of the cucumber and spring onion! 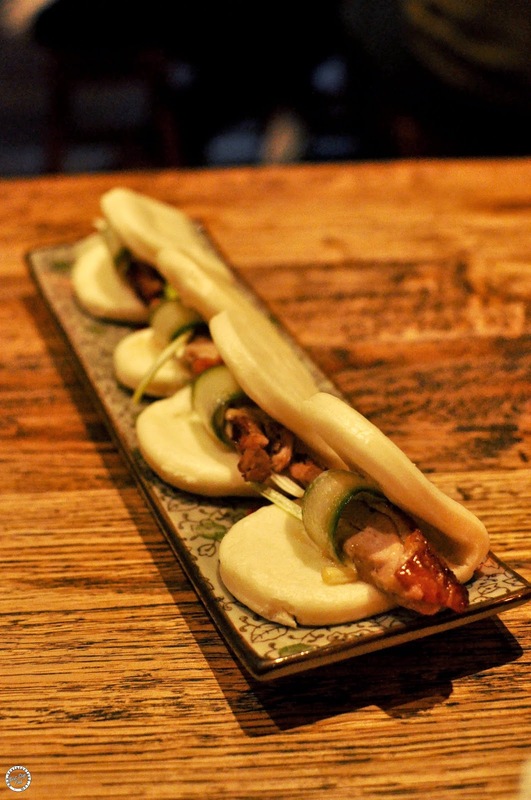 Their "tacos" shell is actually steamed bun/bao, which was fluffy and went well with the duck and the mayonnaise. Quite an interesting dish! This was fresh and light. Loved the herbs they put in it and also the pine nuts. Hello favourite dish of the night! 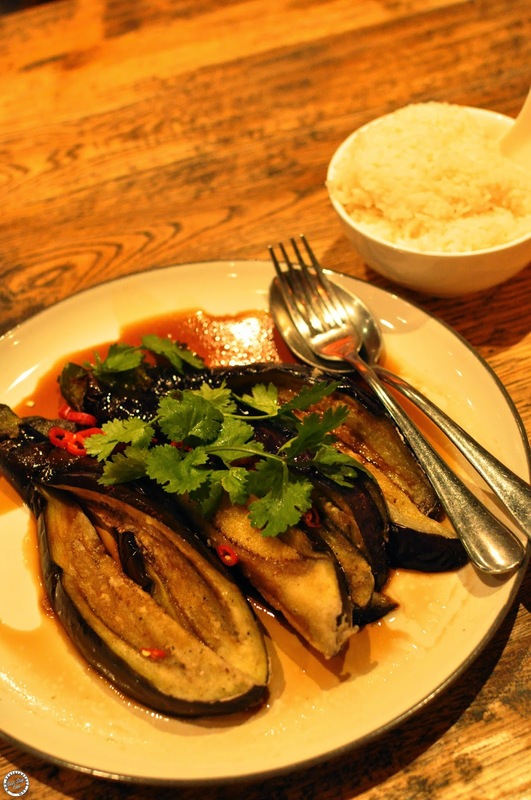 The eggplant was lightly battered and with its sauce that a winner, the black vinegar was delicious and they were the perfectly combination. I don't really eat rice but happily finished almost a bowl with the sauce. OMG. Melt in your mouth flavorsome pork belly, even though I was nearly full and wanted to save stomach space for dessert, I couldn't help myself to have more of this. The eggs reminds of Hong Kong when I used to have the Canteen's tea leave infused eggs during recess! Except these were pu'er infused and had a stronger aroma. YUM. DESSERT TIME! 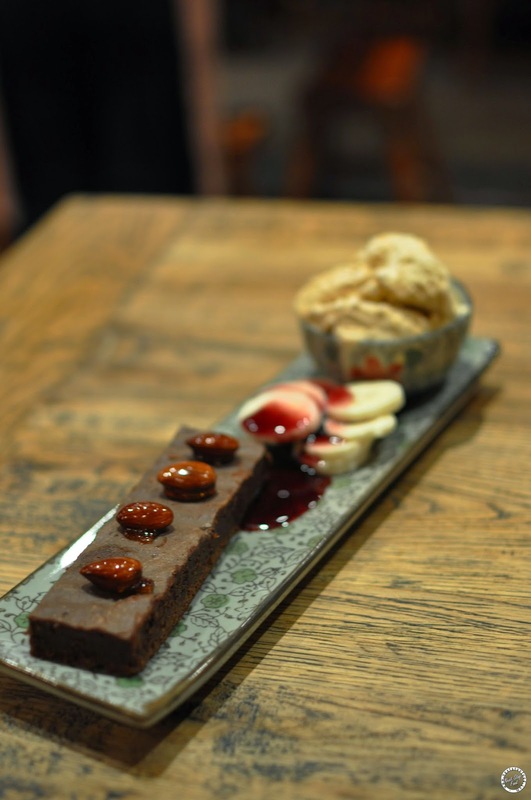 The brownies weren't overly sweet and I quite like the salted palm sugar ice cream, it was different. We thought the spiced wine jus was a tad too sweet though. Kaffir lime was very defined in the sorbet and I love how they serve it in a real young coconut shell with fresh coconut flesh. 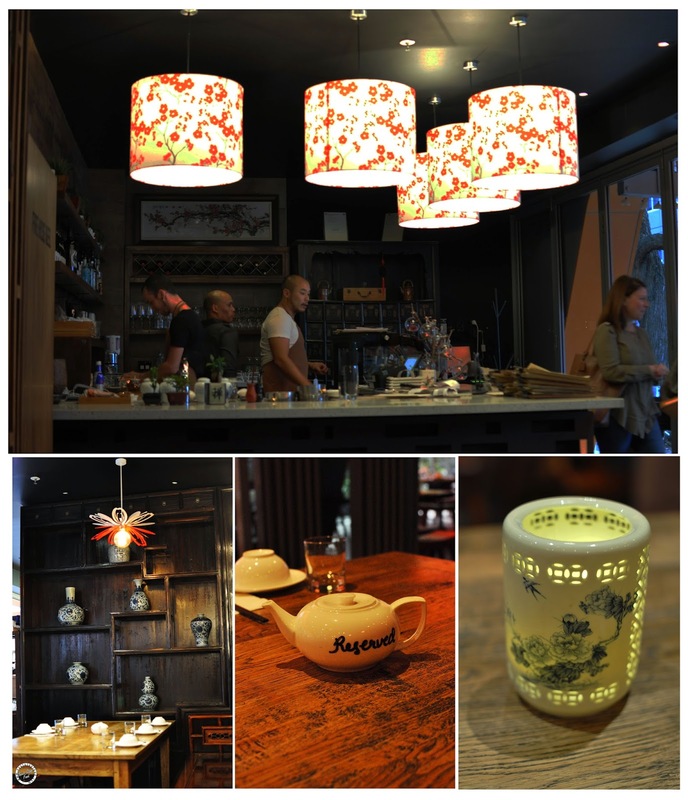 The owners placed a lot of attention to detail to everything, from the decor to the food. The ambiance gives a vibe to slowly enjoy dinner. The service was good with everyone being very polite, however, because we went on a busy Saturday night, there didn't seem to be enough staff. I would come back again to have that eggplant and also the dumplings! Thank you Quinton from Pu'er for the lovely invite. All comments are based on my own opinion. 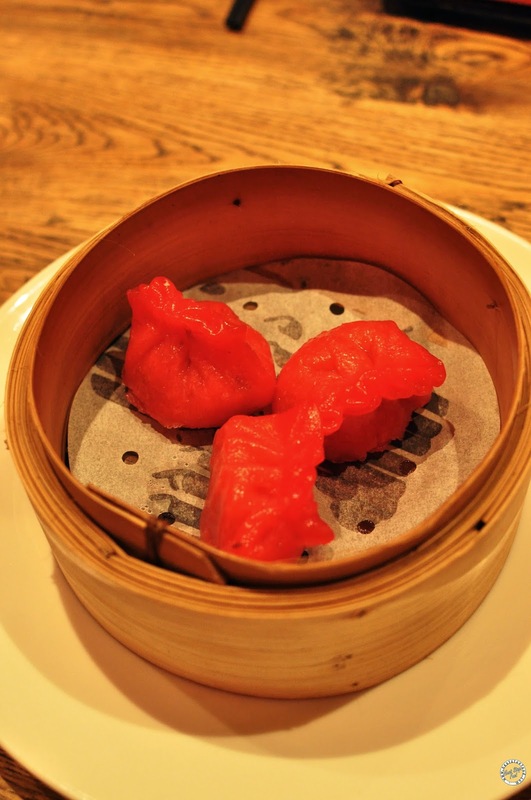 Wow those prawn dumpling skins are such a vivid red. And I love pu'er tea. It's so fragrant. Now all I want is dim sum! 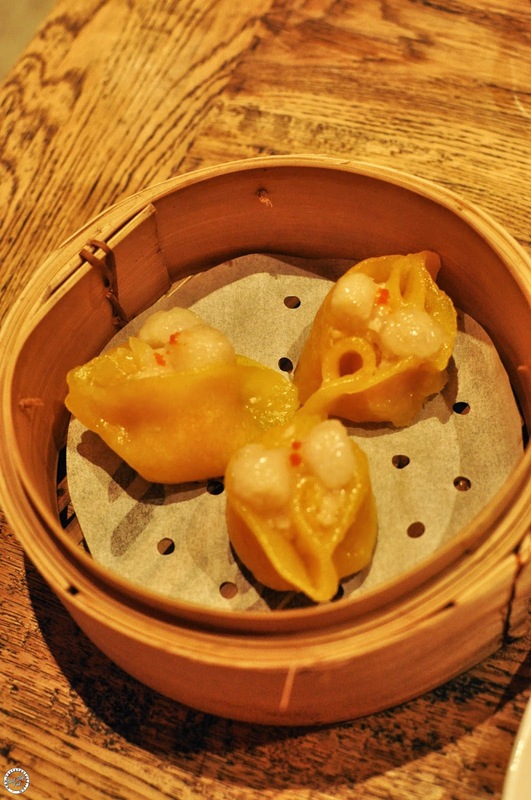 We should go yum cha together one day ! Both of them do look classy ay!! 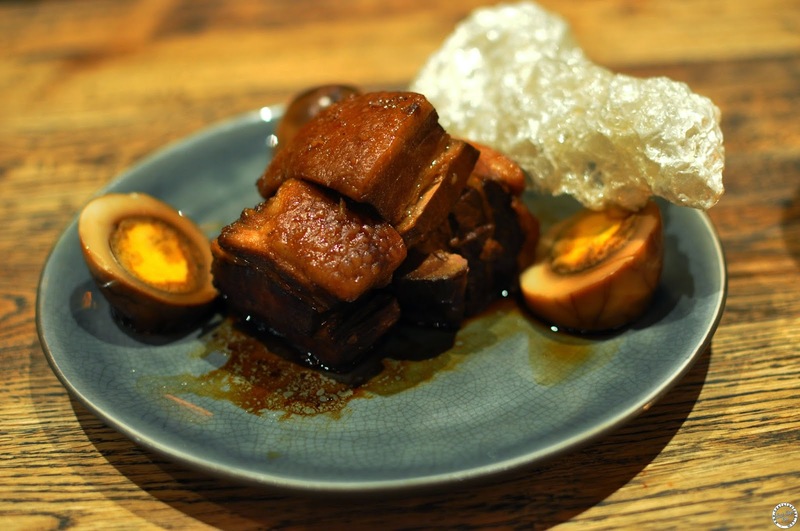 The pork belly looks like a succulent piece of flavour bomb.